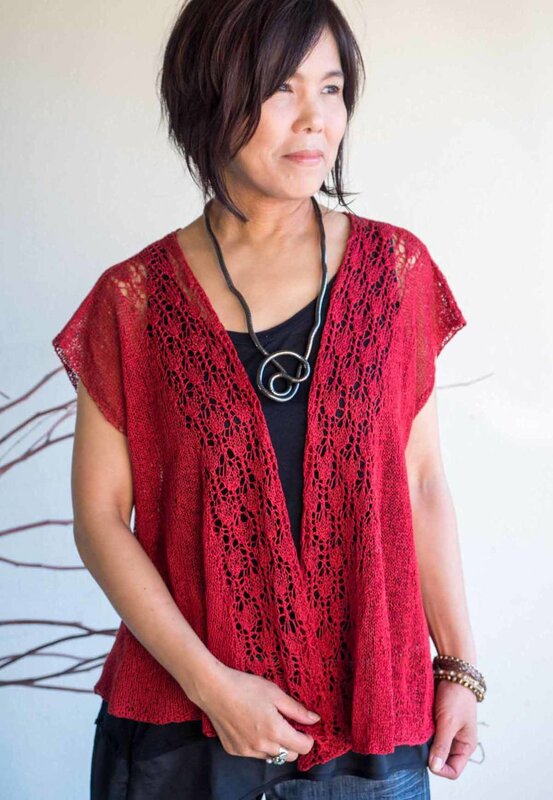 This cardigan shows off a beautiful combination of a heavier fabric, which is knit with two strands of yarn, and a lighter fabric, which is knit with one strand of yarn. A very charming lace pattern is used on both the back and fronts. The back is worked with two strands of yarn which makes it more like a motif. The fronts are knit with one strand of yarn, creating a delicate airy fabric. 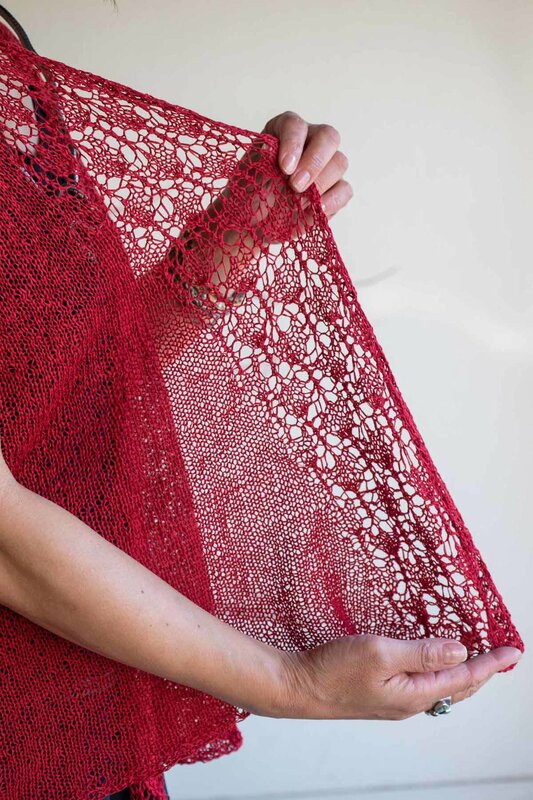 This lacy pattern is knit from the top down, and the lace becomes a recurring tulip motif when turned. This cardigan has an interesting construction. First, knit the back center panel, then pick up stitches on each side of the back panel to work the right back and left back sideways. Pick up stitches from the shoulder, and knit from the top down for the fronts. The fronts have shaping on the center and side edges, making this cardigan flowy when it is worn. 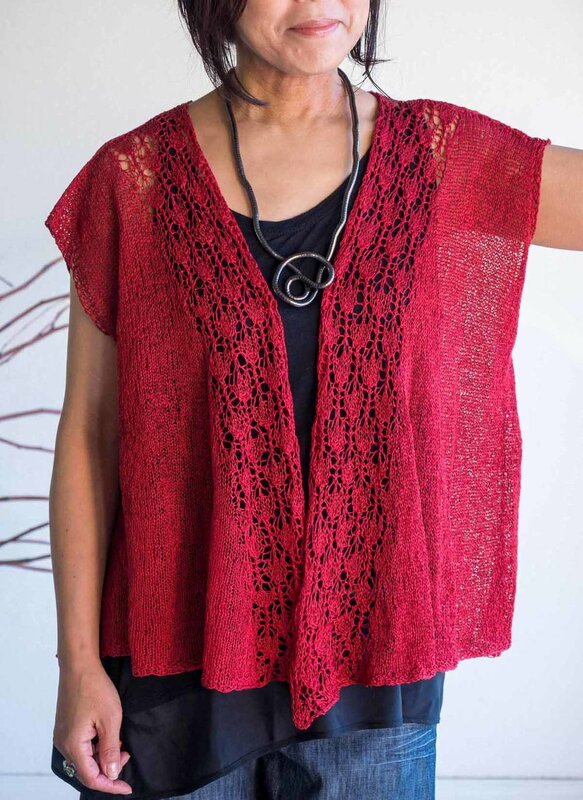 This cardigan mostly uses the Tulip Stitch pattern and stockinette stitch, with a seed stitch pattern at the edges.